If the county vote is affirmative and voters in any of the county’s four cities approve that ballot issue, however, those voters also will be authorizing the governing body in the city to pass an ordinance allowing liquor by the drink without seeking additional approval of the voters in the city. That conclusion was reached by Watkinsville city officials last week after they reviewed state ordinances following their discussion of the county’s liquor-by-the-drink referendum at the Wednesday night City Council meeting. As a result of that discussion, it now appears unlikely that Watkinsville will have a separate liquor referendum on the ballot on Nov. 4. Until last week, the discussion about the county referendum had been entirely in terms of its impact on the unincorporated parts of the county. The Oconee County Board of Commissioners voted on Aug. 5 to put the issue before voters in November and promised to write an ordinance for the unincorporated parts of the county if voters give their approval. At the Watkinsville Council meeting last week, however, Councilman Brian Brodrick said his search of the web site of the Georgia Municipal Association suggested the county vote could have impact on Bishop, Bogart, North High Shoals and Watkinsville as well. It turns out that Georgia law allows a city that is wholly or partially in a county that has approved a county-wide referendum on the sales of distilled spirits by the drink to forgo its own referendum if “a majority of the electors voting in the county-wide referendum election who reside in the municipality” voted in favor of the county referendum. Alison Earles, associate general counsel for the Georgia Municipal Association, told me on Friday that the law has been in effect since 1987. Watkinsville Mayor Charles Ivie told me on Friday morning that the city is considering four options following a discussion last week with legal counsel. It can wait until after the Nov. 4 election. If the vote in the county and the city are affirmative, the City Council could create an ordinance allowing the sale of liquor by the drink in the city’s restaurants. The City Council could decide to do nothing, regardless of the vote. The City Council could hold its own referendum at a later date, regardless of what the county and city voters decide on Nov. 4, Ivie said. Finally, the Council could decide to move forward with a referendum of its own on Nov. 4. The final option–Watkinsville holding its own referendum on Nov. 4–is rather unlikely. The Council is not scheduled to meet until Sept. 10. Pat Hayes, chair of the Oconee County Board of Elections and Registration, told me on Friday afternoon that the final day to call an election is Sept. 5, but the actual deadline to get an issue presented to her for the ballot is tomorrow. The Board of Elections and Registration is meeting at 5 p.m. tomorrow in a called meeting at its office next door to the courthouse to finalize ballot issues. 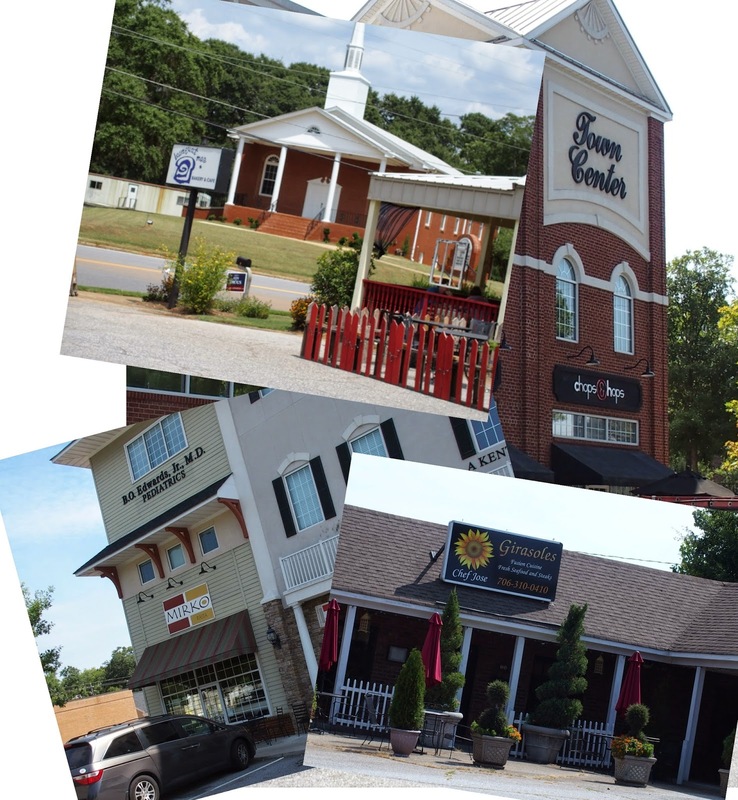 Watkinsville currently has four restaurants that have licenses to sell beer and wine for consumption on the premises. These are Chops and Hops, Girasoles, Kumquat Mae and Mirkos. All are located near the intersection of Main Street and Barnett Shoals Road. Bishop has one restaurant, Bishop House, but the city does not have alcohol sales of any sort. Neither Bogart nor North High Shoals have restaurants. Watkinsville voters reside in two county precincts, Annex and City Hall. At the time of the July 22 runoff election, 1,719 registered voters resided in the city’s part of those precincts. The county as a whole had 21,985 registered voters. The city of Bishop had 156 registered voters in the Bishop precinct, which includes parts of the county not in the city. North High Shoals had 366 voters in High Shoals precinct, which also extends beyond the city boundaries. Bogart had 483 voters in the Bogart precinct, which includes areas outside the city. While most of Bogart is in Oconee County, a portion is in Clarke County, and that county already has liquor by the drink in restaurants. Since a future city council in any of the four cities could opt to pass an ordinance allowing for liquor-by-the-drink if the county and city voters approve the Nov. 4 referendum, opponents of referendum in any of the cities will have to work to defeat the referendum locally. Voters in 1990, 1996 and 2002 turned down liquor-by-the-drink referendums in the county, with negative votes by 52 percent, 60 percent and 55 percent respectively. The ballot language was the same in the last two elections as it will be on Nov. 4. Jennings Mill Country Club was the only private club in the county at the time, Hayes told me.